While big banks get bigger, the vision for Fidelity Bank has remained the same for over 100 years; to be an Independent, Sound, and Profitable bank that businesses and families come to first – and Bank with for life. For the leadership and members of the Fidelity Bank family, the Right By You mission they live day in and day out is more than a slogan. ​From small towns to booming suburban enclaves, Fidelity Bank's associates live and work in the communities they serve. Walk into any Fidelity Bank location and you will know you are in the right place. With headquarters in the heart of Fuquay-Varina, Bob Barker Company is America's leading detention supplier. Bob Barker Company is dedicated to giving back to the community and making a positive difference in the lives of others. For example, the Bob Barker Company pays one hour salary each month for team members to volunteer and matches team member donations to charities up to $5,000 each year. Since 2009, the Bob Barker Company Foundation has awarded $2,000,000 to 100 community-based projects who share this vision. To date, the Bob Barker Company Foundation’s grants have helped 1,040,000 men and women prepare physically, spiritually, and emotionally to re-enter society. We are proud to say that the average recidivism rate for our nonprofit partners is only 12.2%. Learn more about the Bob Barker Company Foundation. ​You'll find Becky conveniently located off 401 at 407 North Judd Parkway in Fuquay-Varina. CENTURY 21 Triangle Group offers residential and commercial real estate services in the Raleigh, RTP, Cary, Fuquay-Varina, Garner, Holly Springs, Angier, Willow Springs and surrounding areas. Call Becky Medlin at 919-552-4517. Waste Industries is a solid waste and recycling collection company which began operations in 1970. Festival organizers are delighted to have Waste Industries as our solid waste partners again. Picking up trash may be the reason you think of Waste Industries, but there’s so much more to daily operations than just collection. Waste Industries prides itself on being an environmentally friendly business taking aggressive steps each and every year to ensure we’re doing all we can when it comes to building a more sustainable world for our customers. Power is the universal need for any mission-critical event or job site - especially an even the size of Freedom Balloon Fest. Herc Rentals is the right solutions source, scalable to our needs. Delivering power to a construction site, special event or a variety of any plant or facility, requires careful planning and consideration. Herc Rentals can scale to your needs too. Event Producers - Herc Entertainment specializes in Film, TV, and Live Event rentals. Herc Entertainment carries entertainment specific” products to fit your production’s needs. From aerial equipment, forklifts, carts, lighting equipment, generators, ground cover, and climate products, Herc Entertainment has what you need. K.B. Johnson serves its customers by selling propane gas and related services, bulk petroleum, along with a complete service and sales department. The K.B. Johnson sales department specializes in propane and natural gas appliances such as gas fireplaces, tank-less water heaters, space heaters and a complete line of gas grills and outdoor kitchens. K.B. Johnson offers automatic delivery service to all of our propane customers who qualify and guarantee prompt response 24 hours a day 7 days a week if they ever run out of propane. ​If you're looking for great home improvement solutions, you've come to the right place. Champion of Raleigh has everything you need to help transform your home for less than you ever imagined. Contact us today and a local Champion Representative will be happy to meet with you to discuss your vision. Since 1992, Brytons Home Improvement has been servicing North and South Carolina with its bathroom remodeling needs. Specializing in walk-in showers, walk-in tubs, tub-to-shower conversions and bathtub replacements, Brytons provides a safe solution for aging in place. Brytons uses only employee installers, not sub contractors, which means your job is done quicker and more efficiently than with competitors, in fact most bath remodels can be completed in as little as one day! We invite you to stop by Brytons' Triangle showroom: 829 Bass Pro Lane in Cary or visit our website at brytons.com to learn more! North State Signs & Wraps is a full-service custom sign company striving to meet 100% Customer Satisfaction and Accuracy. North State Signs is the official sign provider for the Freedom Balloon Fest and specializes in Indoor/Outdoor Signage, ADA Signage, Vehicle Wraps / Graphics / Lettering, Conference Event / Trade Show Displays, Banners, and Much More! No matter the size of your needs, North State Signs will work to have the opportunity to earn your business! Festival volunteers truly appreciate the support of the team at North State Signs! What's a Sheetz? Above all else, Sheetz is about providing kicked-up convenience while being more than just a convenience store. Sheetz is a mecca for people on the go. If you need to refuel your car or refresh your body, we have what you need to keep you moving on to whatever comes next. ​Road warriors. Construction workers. Soccer moms. They all have a special place at Sheetz. Sheetz has what you need, when you need it. And, they're here 24/7/365. ​The North Carolina Chapter of Public Relations Society of America (NCPRSA) is a professional nonprofit organization with members spanning from the Triangle to the coast. We believe the chapter’s support begins in the community, so we are proud to create partnerships that strengthen and preserve the communities in which our members live and work. Quality Equipment, LLC is a full service John Deere dealer with 14 locations across North Carolina. Quality Equipment carries a complete line of new and used agricultural, lawn & garden, and commercial work site products for customers in the area including the area's largest selection of inventory, best in-stock parts availability, and highest level of product support. The team at Quality Equipment stands ready to earn your repeated business by providing valuable solutions for their customers. Learn more. The caring professionals at Revels Turf & Tractor welcome you to the Freedom Balloon Fest Started in 1961 with a focus on chainsaws, Revels Turf & Tractor has become one of John Deere’s largest Golf & Turf equipment distributors – providing a full line of maintenance equipment to keep your golf course or sports turf beautiful and performance-ready. From greens mowers and tractors to utility vehicles and aerators, you’ll find the equipment you need at Revels. Products we offer include: new turf equipment, used turf equipment, leasing options, parts, repairs & service. Kudos & thanks to Bogue RV for their support of Project Uplift USA and Freedom Balloon Fest 2018. Be sure to visit their virtual showroom of new and pre-owned inventory. You’ll find detailed information about each vehicle, a picture gallery, as well as convenient ways to contact us for more information about that vehicle. Visit Bogue RV at 107 Bogue Commercial Drive or call them at (252) 424-8344. And driving directions and hours of service are available on their user-friendly website. Their number of repeat customers and referrals speak volumes as to why you should give Bogue RV a call. New or used RVs are available now - just in time for your next summer adventure or the next new stage of your life. Thanks again to Bogue RV for supporting the volunteers who serve around the clock without pay to bring Freedom Balloon Fest to life. We truly appreciate your support. Help us express some gratitude and give Bogue RV a try if your considering an RV lifestyle change. At Cricket Wireless, they're on a mission to make customers like you satisfied with your cell phone carrier like never before, providing you with wireless service to smile about. How do they do that? They work to stand out from other cell phone companies by giving you affordably priced cell phone plans, a variety of cell phone options, and a high-quality, reliable network. Cricket Wireless offers: A nationwide 4G LTE network, Cheap cell phone plan prices, with taxes included, a selection of the most popular smartphones and regularly updated offering of their best cell phone deals. Join Cricket today to get a straightforward plan that keeps you connected at a value price. Mobile Communications of America is your one-stop shop specializing in Motorola two-way radio rentals. With over 30 locations in the southeast MCA has all of your event communication needs covered. Mr. Roof was founded as the result of a dream to start a roofing company with the highest possible standards in the industry. Mr. Roof is a forerunner of roofing technology. Mr. Roof contractors rely solely on time tested and proven products - some of the products used are built specifically for Mr. Roof designed to exceed industry standards. Mr. Roof has only factory-certified roofing technicians who install roofs quickly and efficiently every day; and they are 100% dedicated to the mission of serving you and your home or business. InitLive, helps customers build a safer, more organized events through its user-friendly staff and volunteer management software and easy to use mobile app. InitLive is built to provide event volunteer organizations like Project Uplift USA and WRAL Freedom Balloon Fest volunteers with the best event tech tool to schedule, manage and communicate. Learn more about InitLive and join us as we, "Thank You" for becoming a sponsor of the mission of Project Uplift USA! Saber Exterminating is a family owned and operated company offering pest control services to homeowners and businesses in Raleigh, Cary, Holly Springs, Fuquay-Varina and surrounding areas. Veteran-owned, Saber Exterminating takes a personal interest in solving your pest related issues. Saber Exterminating is fully insured and your satisfaction is guaranteed. All American Gutter Protection offers the best micro mesh gutter guards and gutters at highly competitive pricing. The All American Gutter Protection team are experts in rainwater management and are committed to providing exemplary installations - backed by their Lifetime Performance guarantee. ​Myatt Landscaping Concepts is proud to be a locally owned and operated, award winning full service landscaping contractor. 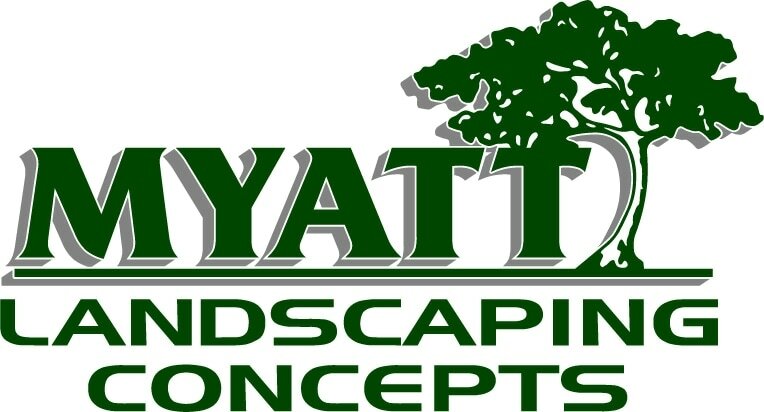 From concept to design to installation and irrigation to flora-culture to maintenance and hardscaping, Myatt Landscaping concepts is here to solve the most challenging situations with a commitment to superior customer service. Ting. The fastest game in town. Crazy fast Internet, no matter how many other people are online. This is gigabit fiber Internet with up to 1000 Mbps speeds. Made for makers... Be more than a consumer; push things to the Internet as fast as you pull them off. Upload in seconds, not hours. Fiber Internet can actually up your property value a few points. More than that, it ensures you and your property are on the right side of history. Ting offers simple, fair pricing. No tricks. The price you see is the price you pay. Your bill won’t start creeping up month over month. Ting doesn’t play those games. Barnhill Contracting Company is a family of builders, creating solutions that enable its partners to succeed, communities to thrive and its employees to grow. A values-based organization. Entrepreneurs and problem solvers who understand there is power in purpose. Barnhill people are powerful innovators and when the going gets tough, they get tougher. Simply put – Barnhill is in the business of building trust. ​Barnhill Contracting Company - Leaders in Commercial building, site infrastructure, transportation and asphalt in NC. Barnhill Contracting Company is ranked #1 on the Triangle Business Journal’s "List of Top Contractors" in the region. Barnhill Contracting Company is pleased to share space, talent, and time with youth from Architecture. Construction. Engineering. The ACE Mentor Program of America, Inc. (ACE) helps mentor high school students and inspires them to pursue careers in design and construction. It’s now the construction industry's fastest-growing high school mentoring program, reaching over 8,000 students annually. The mission is to engage, excite and enlighten high school students to pursue careers in architecture, engineering, and construction through mentoring and to support their continued advancement in the industry. ACE not only engages sponsors and volunteer mentors to expose students to real-world opportunities, it financially supports each student's continued success through scholarships and grants. Since inception, ACE has awarded over $14 million in scholarships to promising participants. Get connected to the community... Help underwrite your community festival. Freedom Balloon Fest is as a family-friendly, admission-free event. To remain an admission-free festival, we rely exclusively upon your donations and sponsorships to underwrite the expenses of the festival, plus our volunteers to provide the manpower. It's a community festival - the way it should be. A community event produced for and by the community in appreciation for military families who have sacrificed so much. Our festival is produced as a community service of Project Uplift USA, a North Carolina non-profit corporation created to produce the event and to provide other year-round educational and service programs. We are currently looking for businesses, organizations, and individuals willing to support our missions. We believe we can build stronger communities by coming together and celebrating our freedom and remembering the true meaning of Memorial Day weekend. The volunteers of Project Uplift and Freedom Balloon Fest invite you to join us. Admission-free, family focused event - Planning for between 60,000-80,000 attendees over the course of the weekend. We are a "Big Tent" event... While we are a non-profit 501(c)(3) we do not raise funds to donate to military charities. However, we do dedicate space for a variety of non-profits organizations (mostly veteran and military oriented charities) - many choose to raise money. Since the founding of this event, because of this structure, we have been able to create a platform for raising over $100,000 for various charities (at no risk or expense to those charities other than their time to attend the event and raise awareness of their own missions. Want to learn more about the mission and background of the festival? Need to know a little more about our region? Perhaps you'd like to know where the money goes... Download our 2018 Sponsor & Underwriter Kit by clicking below. Don't see a program that quite fits your needs and you'd like to do? Perhaps we can customize something together to match Project Uplift USA's community mission with your outreach initiatives, tell us your ideas, and we'll do what we can to make it work. Underwriting sponsorship are available from simple hospitality beginning at $1,500 to fully customizable branding programs. Or, make a gift of any kind - Project Uplift USA is a 501(c)(3). Please complete the brief confidential contact form below and we will be in touch with you as soon as possible. If an Individual, enter, "Individual" please. ​Remember our fallen service men and women. Honor our Gold Star and military families. Celebrate our freedom as a welcoming community of servant volunteers.